While other healthcare groups continue to debate business models to survive, US Acute Care Solutions thrives thanks to its culture where physician ownership leads to better patient care. 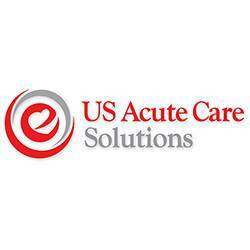 US Acute Care Solutions (USACS) celebrates its one-year anniversary today. Heralded as a game changer in emergency medicine, USACS is now charting a new course across the entire acute care spectrum with patient-centered care serving as its foundation and physician ownership as its cornerstone. As a physician-owned company offering comprehensive solutions across the continuum of acute care, including emergency, hospitalist and observation services, USACS continues to be a category leader with a rapidly growing network of clinicians across the country. In the years to come, Dr. Bagnoli noted that USACS continues to expand its national footprint by offering healthcare systems a true partner for creating the appropriate acute care solutions to meet the ever-evolving needs of patients. Founded by emergency medicine physician groups in Colorado, Florida, Maryland and Ohio and capital partner Welsh, Carson, Anderson & Stowe, USACS is the national leader in physician-owned acute care integrated medicine. USACS provides high-quality emergency, hospitalist and observation care to almost 4 million patients annually at nearly 120 locations in 22 states and is aligned with leading hospital systems across the country.